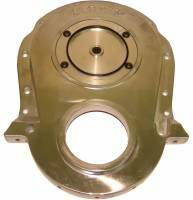 Cloyes has been manufacturing quality timing drives and components since the 1920s. 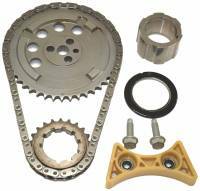 Check out the Recently Listed Timing Chain and Gear Sets and Components. 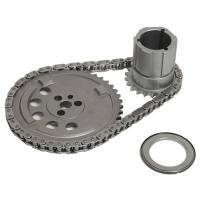 PitStopUSA.com offers a variety of AMC Timing Chains from the biggest brands in drag racing including Cloyes AMC Timing Chains and more at low everyday prices. 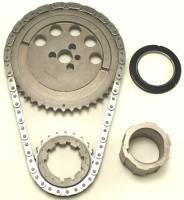 PitStopUSA.com offers a variety of Buick V8 Timing Chains from the biggest brands in drag racing including Cloyes Buick V8 Timing Chains, Edelbrock Buick V8 Timing Chains and more at low everyday prices. Pit Stop USA is The Online High Performance Superstore! 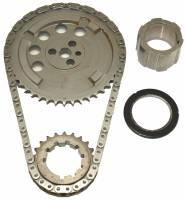 We feature Timing Chains - Cadillac at low everyday prices. Pit Stop USA is The Online High Performance Superstore! 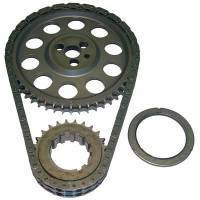 We feature Timing Chains - Chevy 348/409 at low everyday prices. 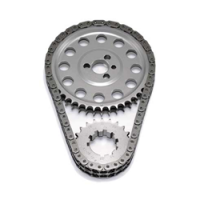 PitStopUSA.com offers a variety of Chevrolet V6 Timing Chains from the biggest brands in drag racing including Comp Cams Chevrolet V6 Timing Chains and more at low everyday prices. Pit Stop USA is The Online Motorsports Superstore! 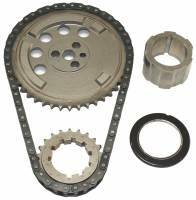 We feature Timing Chains for Small Block Chevy at low everyday prices. 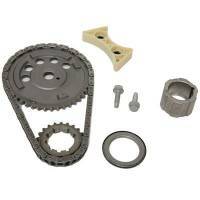 PitStopUSA.com offers a variety of Small Block Mopar Timing Chains from the biggest brands in drag racing including Cloyes Small Block Mopar Timing Chains, Comp Cams Small Block Mopar Timing Chains and more at low everyday prices. Pit Stop USA is The Online Motorsports Superstore! 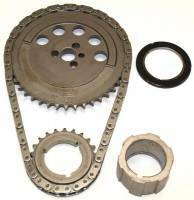 We feature Timing Chains for Small Block Ford at low everyday prices. Pit Stop USA is The Online Motorsports Superstore! We feature Timing Covers at low everyday prices. Pit Stop USA is The Online Motorsports Superstore! Cloyes was founded in the early 1920s in Cleveland, Ohio, by Raymond Cloyes, who started the business by manufacturing by hand a small quantity of replacement fiber and aluminum timing gears for trucks and automobiles. 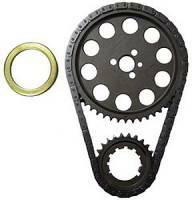 Thus began the story of Cloyes Gear Works, now known as Cloyes Gear and Products, Inc. Cloyes was the first to offer a line of replacement timing components to fit essentially any product with an internal combustion engine. In 1970, Cloyes revolutionized the race industry with the development and introduction of the very first True Roller Timing system. Cloyes has been manufacturing quality timing drives and components since the 1920's. Cloyes offers something for every level of racer. 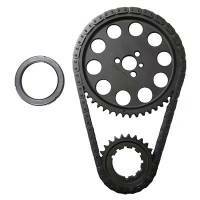 Cloyes offers Cloyes Heavy Duty Timing Chain Sets and Cloyes Street True Roller sets for budget minded racers. For serious performance, Cloyes Original True Roller Timing Sets, Cloyes Billet True Roller Timing Sets, Cloyes Hex-a-Just True Roller Timing Sets and Cloyes Quick Adjust True Roller sets are the class of the field. The patented Cloyes Hex-A-Just was an industry breakthrough when first introduced in 1992. The accuracy and simplicity of the Hex-A-Just system will save you hours of valuable set-up time. 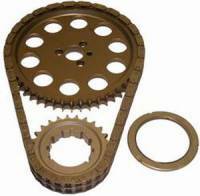 Sprockets are made of SAE 1144 induction heat-treated, billet steel. Matched with Cloyes Premium True Roller chain, this set gives you unmatched performance. 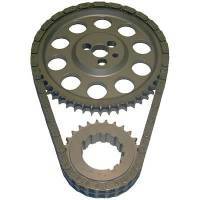 Cloyes Dual Idler Gear Drives are cut from billet steel, and heat-treated for extreme durability. Cloyes Heavy Duty Idler Shafts are the key to an accurate and consistent Power Stroke. For over 40 years, the Cloyes name has been synonymous with the highest quality, performance timing drives. We are committed to upholding our hard-earned reputation, and meeting the high expectations of todayas racers. 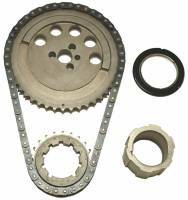 We feature Cloyes True Roller Timing Chain Sets at low everyday prices!